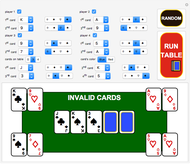 Select a player's hand, its condition (active or not active), and the cards on the table. 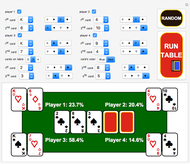 Then click the "RUN TABLE" button to calculate each player's probability of having the best hand. Ties for first count as a victory for all players tying, which means that the sum of all probabilities of winning may exceed 100%. 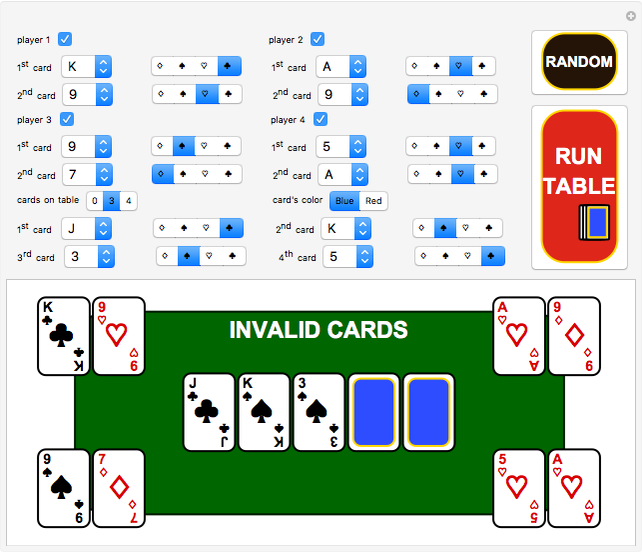 When no cards are shown on the table, the program runs a Monte Carlo simulation, so you may get slightly different outputs for the same input. 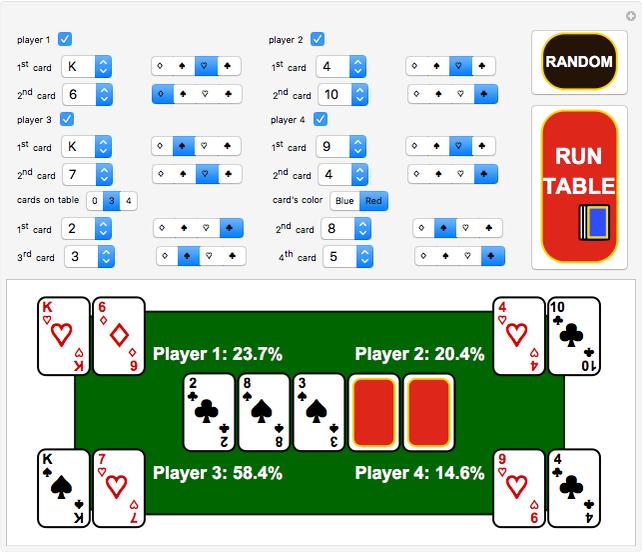 Every time you set a game (by yourself or by clicking the "RANDOM" button), you may click the "RUN TABLE" button to evaluate the odds. The calculations may take a few seconds. Texas Hold 'Em: Possible Outcomes after the "Flop"
Lucca Siaudzionis "Probabilities of Winning in Texas Hold'Em"